What a great looking van! This Dodge A100 looks fantastic with the side pipes, blacked out rims and white letter tires. It even looks sporty, well at least as sporty as a box can look. With a 318 cui V8 sitting between the front seats and a name like Sportsman, it should at least be lively to drive. 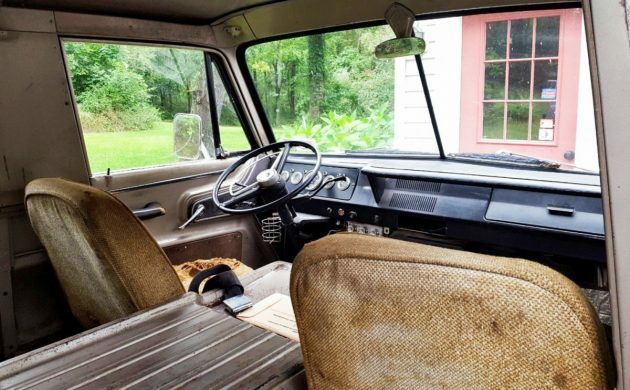 If you’d love to have this 8 window Ram Van, you can find it here on eBay in Poughquag, New York with a BIN of $6,700. 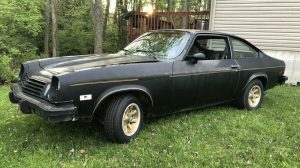 The seller states that the engine lost oil pressure a while back, so they quit driving it. I’ve got to commend them for being honest, but their asking price seems a little high to me, then again when will you find another Sportsman with this look? 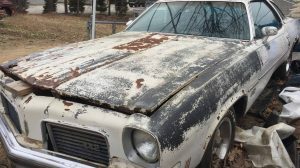 At least the seller states that they are open to offers, so perhaps you can pick it up cheap enough to offset the cost of rebuilding the engine. 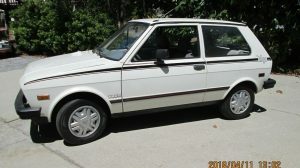 If the seller posted photos of the engine, more of the interior and underside, then perhaps their price would be more palatable. It’s a shame to sell it short by not providing more photos, especially considering all the money they’ve put into it. We do get a look at the exhaust system, which seems rather complicated. It appears that the system runs back from the engine, makes a U-turn to fit in glasspacks and then turns back around to exit out the side pipes. 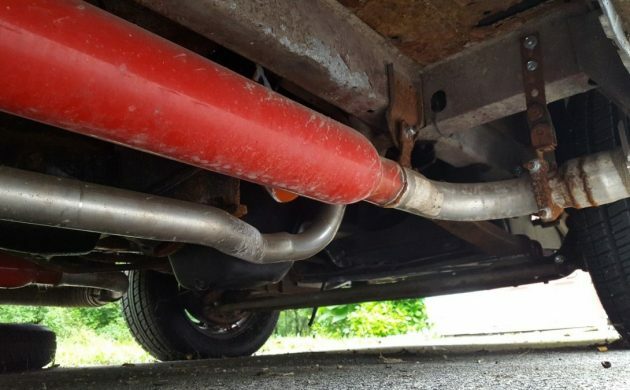 I’m sure it was necessary to fit the mugglers, but running the exhaust directly to the side pipes would save some a lot of weight. While we are having a look at the underside, I’d like to point out what appears to be a rust hole in the floor. It could just be the photo, but you’ll want to inspect the floors on this one. These vans really are odd, but that’s what makes them so cool. Add in a big block engine and you’d have one heck of a sleeper. 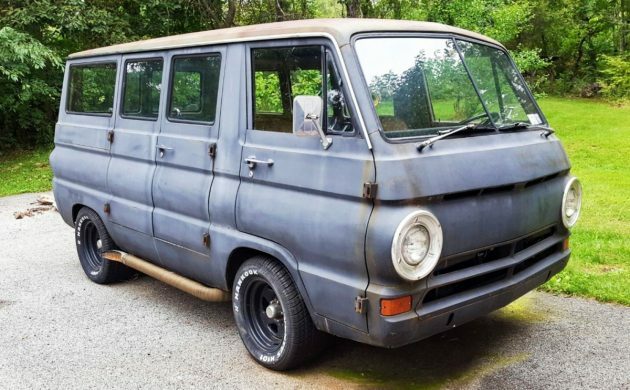 The 318 is an alright engine and a 340 or 360 would be easier to swap in than a 383 or a 440, but think how much fun you’d have with a big block under the doghouse of this van! So, what do you think of this Ram Van? 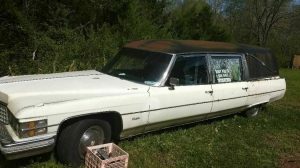 Would you turn it into your parts hauler/sleeper? Been there, done that! :-) I really need to get mine back on the road!! 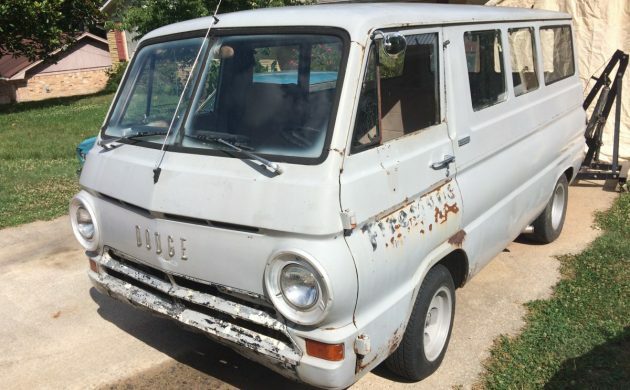 I’m thinking Scooby Doo Mobile, love these old Dodge vans. Can someone please provide the definition of muggler? A tubular steel device that muggles exhaust levels down to a lower decible level, thereby eliminating worrysome attention from the Po-Po. 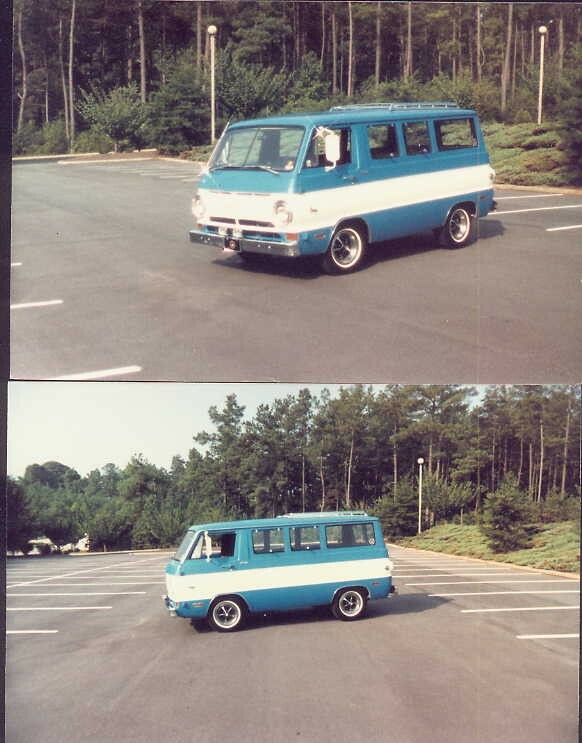 That’s what I think of when I picture a big block wedged into this van. What a way to go…. Nice looking Sportsman. I can see this being restored and used as a taxicab. I’d install a small diesel engine and fully-synchromesh manual transmission. I had one of these and it ran for years. It had 308,000 when it was retired. It was retired, because the body had dissolved too much. So mine is named Herman…..
muggler-a person who deals in the trade of “muggles”-a 1920’s term for marijuana. This van has the appearance of perhaps once having been owned by a muggler. It’s been lingering on eBay for months. 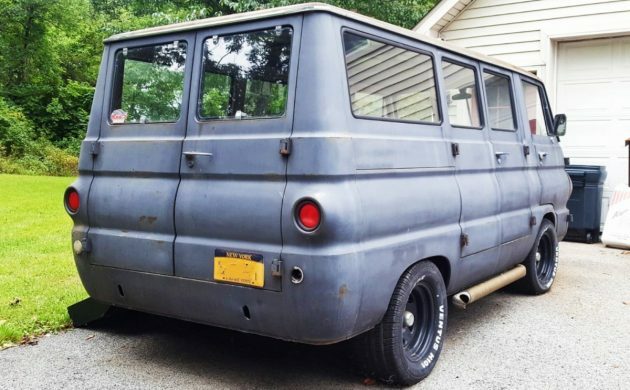 Cool design or not, it’s a ratty van with a blown motor. It’s worth hundreds not thousands. Over 300 people watching his listing on eBay, what are they afraid of? 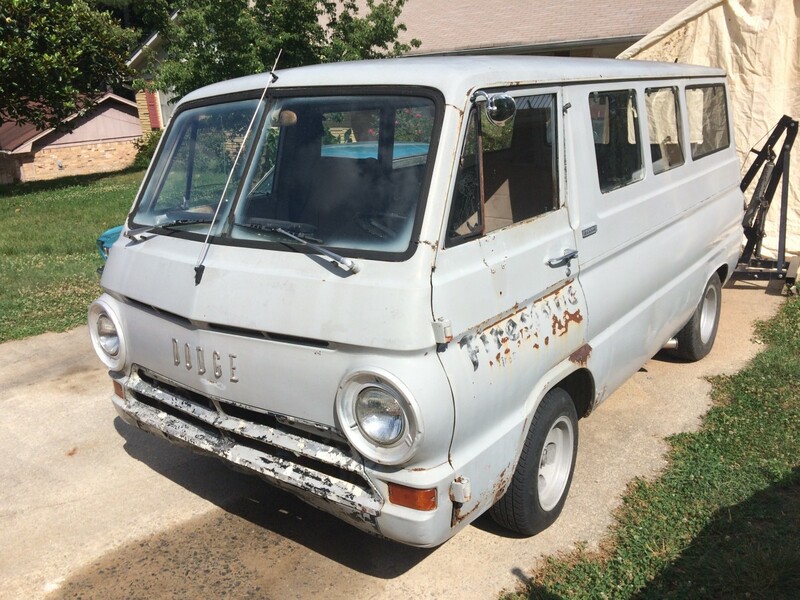 That’s a lot of interest in an old van that is way better than a comparable VW model. True, they’ll be picking your teeth out of the first pole you hit, but at least you can keep up with traffic before then. A super project if the price can be sorted out. Somebody bring some cash and grab it already! 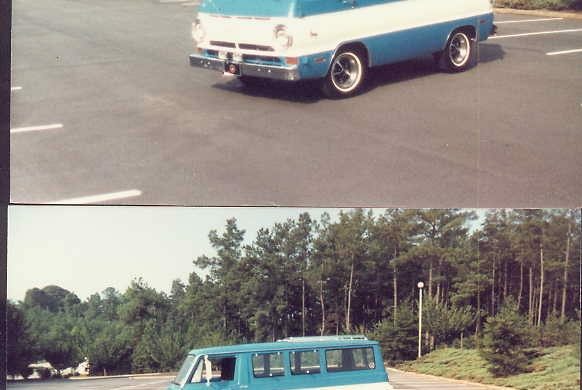 On a slippery road the A-100, with its 90″ wheelbase, would as soon go sideways as straight ahead. Also, during wet and freezing weather, because there was no adequate protection for the exposed throttle cable, the accelerator could be stuck in the position when freeze took place. How do I know these things . . . ?